With a beautiful park-like setting near several schools, Golden Valley is a great place to live and raise your family. A variety of lot sizes are available for construction and you’ll have the freedom of choosing your own builder to create a home that is uniquely yours. Residents have access to miles of trails for walking, running, biking, and rollerblading. The residential neighborhood is close to golf courses, water parks, tennis courts, running tracks, and baseball fields. Golden Valley will be managed by a neighborhood association which oversees professional maintenance of the grounds and safeguards property values. All lots are above the new floodplain. 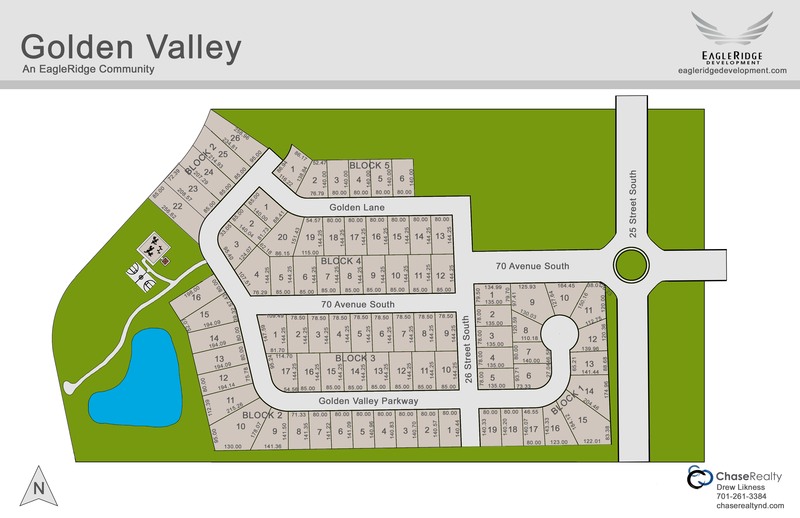 Golden Valley is located west of 25th Street with a tree lined entrance on 70th Avenue South.